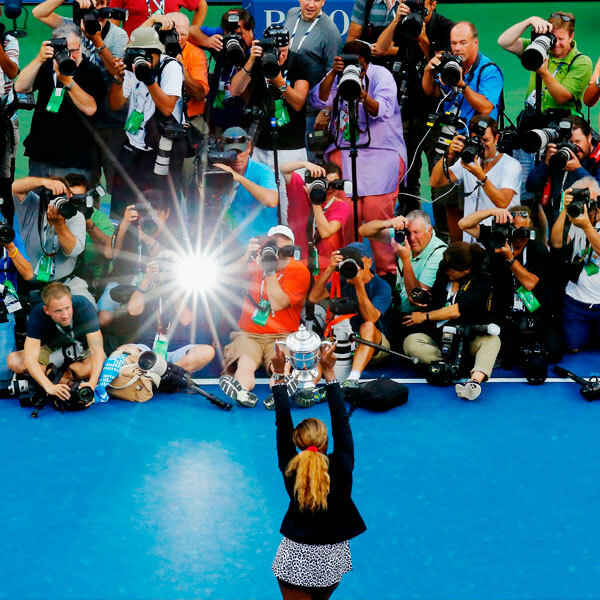 The 2015 Sportsperson of the Year fell short of the Grand Slam in 2015, but she continues to make a case as the sport’s GOAT (Greatest Of All Time). With wins at the Australian Open, French Open and Wimbledon, Serena is now within one major victory of tying Steffi Graf’s Open era mark. 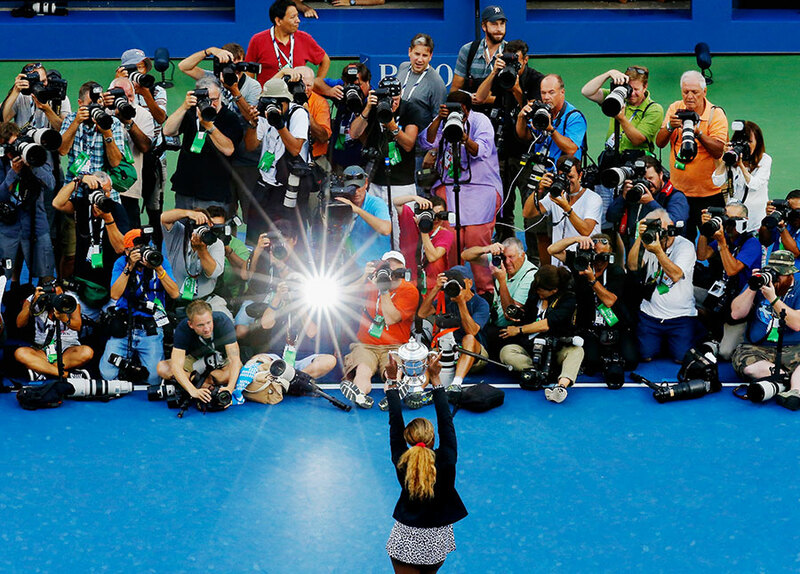 Below, we look back on each and every one of Serena’s Grand Slam wins. 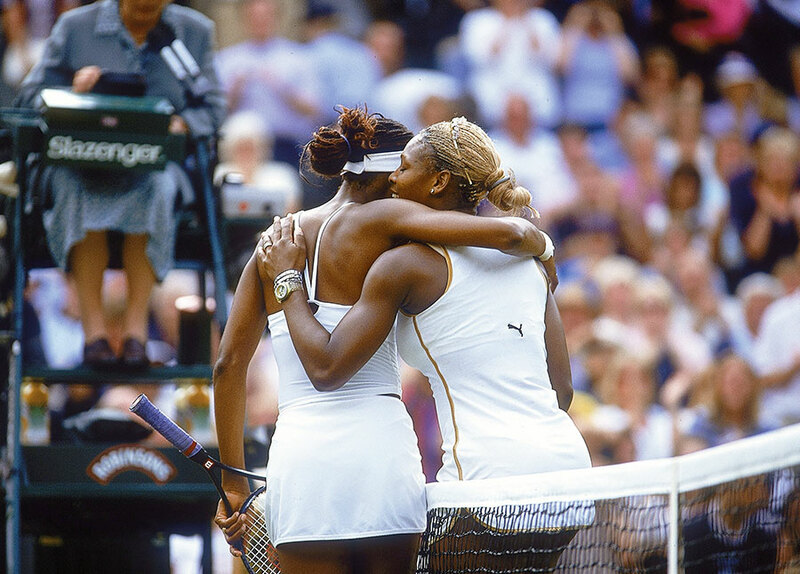 Serena also won the doubles title with her sister Venus, their second Grand Slam doubles championship. 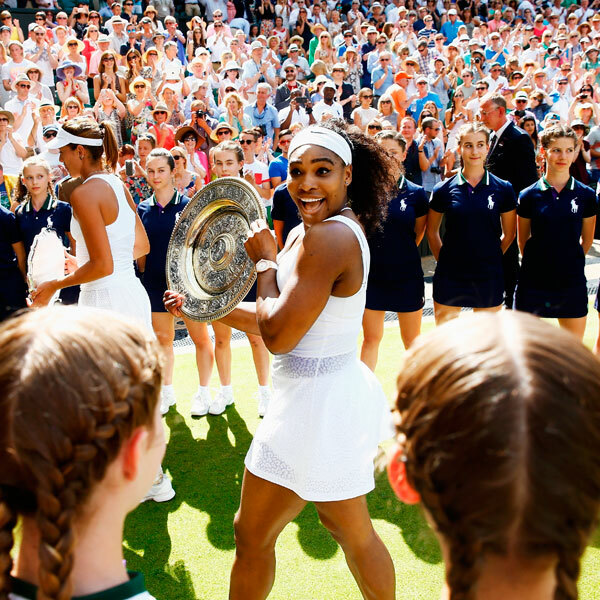 Serena became the first African American woman to win a Grand Slam in the Open Era. Steffi Graf retired just 16 days before the start of the 1999 U.S. Open. 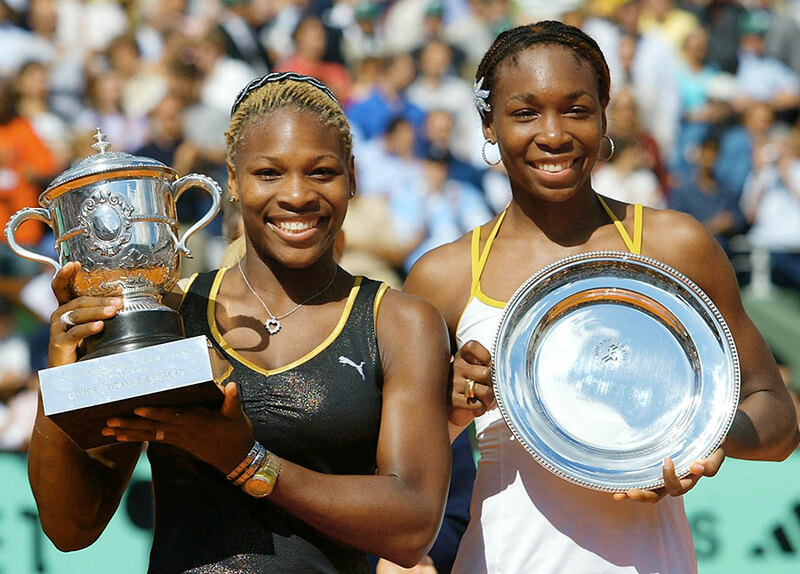 Before 2002, neither Williams sister had made it past the quarterfinals at Roland Garros. 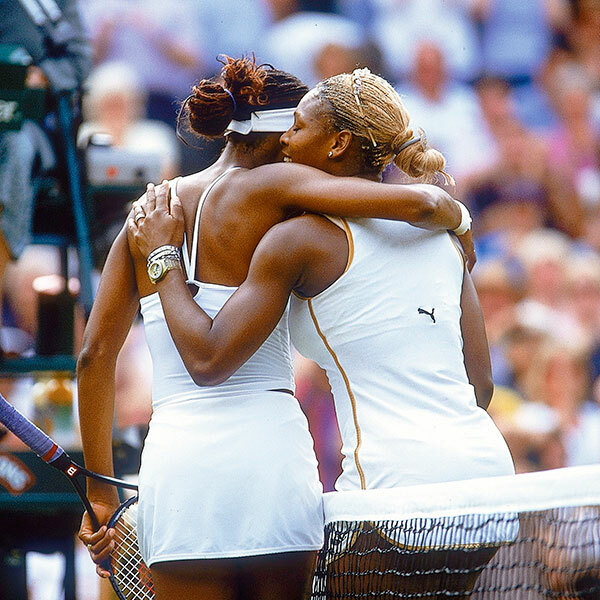 This final was just the third time Serena had beaten Venus in eight meetings. While Serena asserted after the tournament that her game and Venus’s are “so close right now,” it’s quite clear that the little sister has become the best player in women’s tennis. A man allegedly stalking Serena was arrested after he crashed his bicycle into a police camera. Serena and Venus combined for 47 unforced errors, less than half as many as they committed in the French Open final. Serena achieved the No. 1 WTA ranking with her win over Justine Henin. This was the first time since 1979 that the Open featured an all-American final (women’s and men’s). 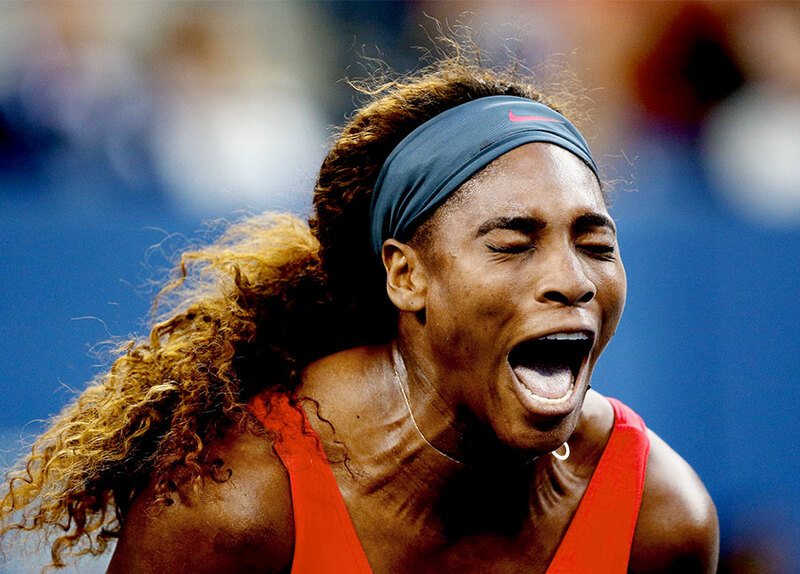 Serena didn’t drop a single set en route to the U.S. Open title. 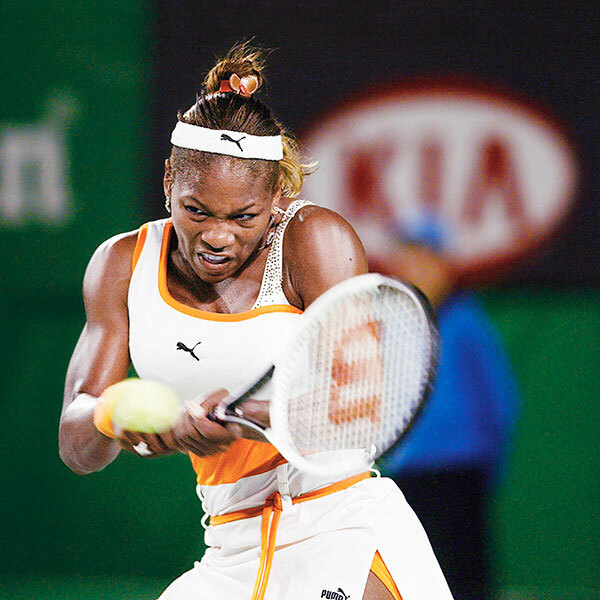 Despite the sisters’ similar games, Serena has a superior quotient of nasty. “Serena is meaner,” her father Richard put it years ago. This, as much as anything, was the difference in the Serena-Venus final. 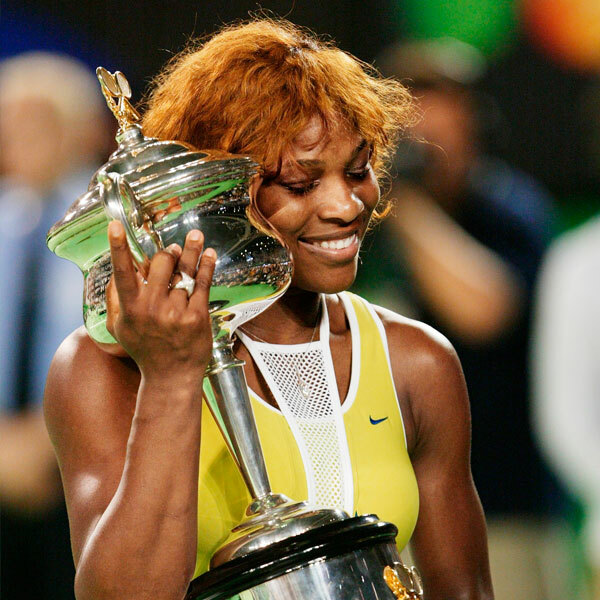 This was Serena’s fourth straight Grand Slam victory, completing the “Serena Slam” across 2002-03. A day after winning the title, Serena flew to San Diego in time for the Super Bowl kickoff. 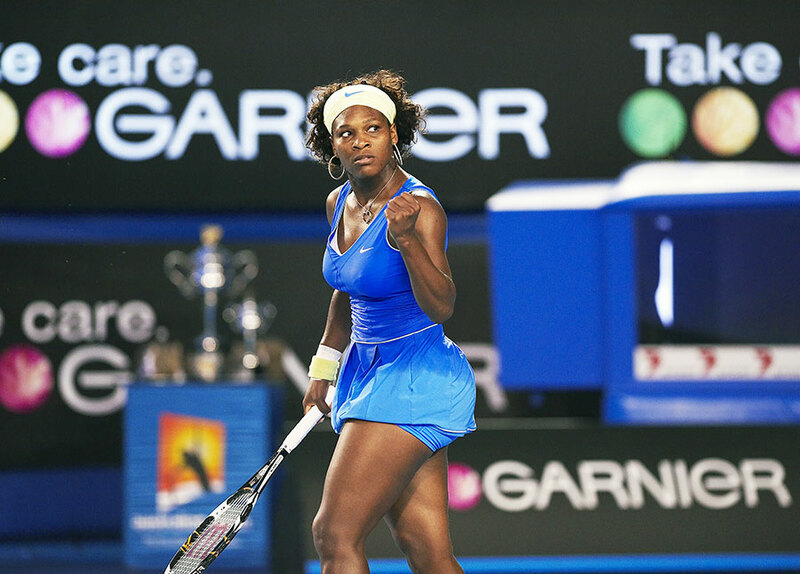 This was the fourth straight Grand Slam to feature a Williams sisters final. 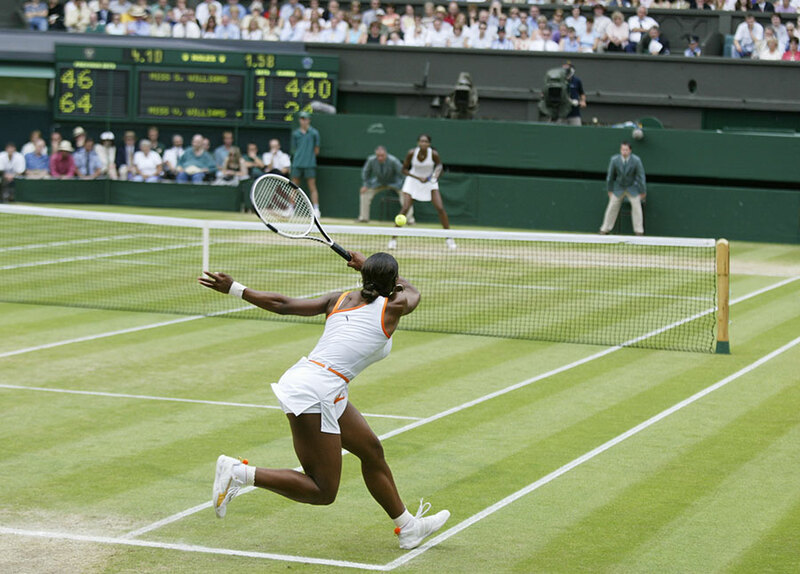 In 2003, Wimbledon changed its long-standing custom about curtseying and bowing before the Royal Box. Future World No. 1 Maria Sharapova made her Wimbledon debut in 2003 at the age of 16. 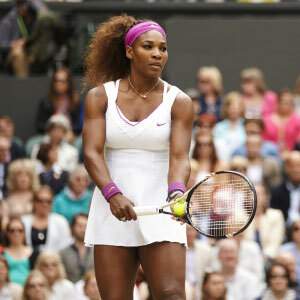 The Wimbledon victory gave Serena six straight finale wins over Venus. Williams looked, for better and worse, every bit like the player who completed the Serena Slam two years ago. 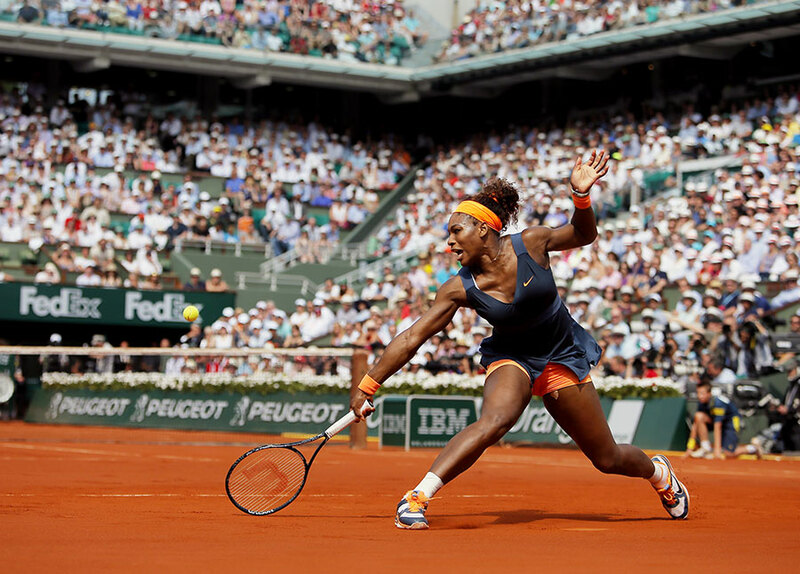 Her game is still mottled with unforced errors … but her basic strategy remains devastatingly effective. Ranked No. 10 at the time, Jennifer Capriati withdrew from the tournament and never played in another Grand Slam. 2005 marked the 100th anniversary of the Australian Open, which was founded in 1905. 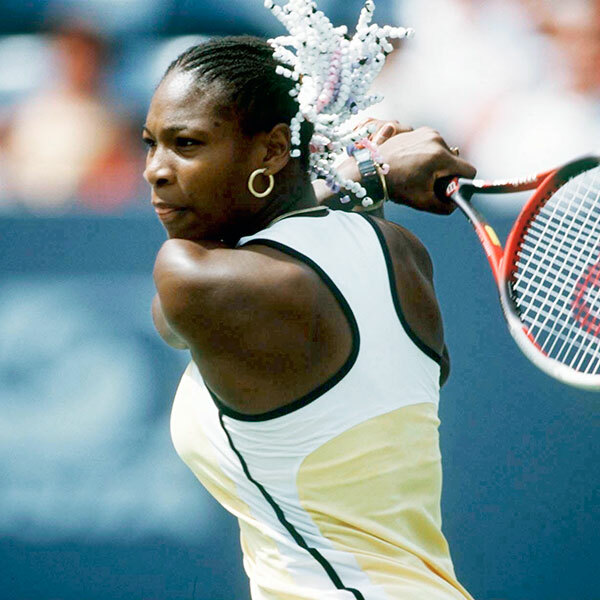 Serena won 12 of the final 15 games against Lindsay Davenport in the final. 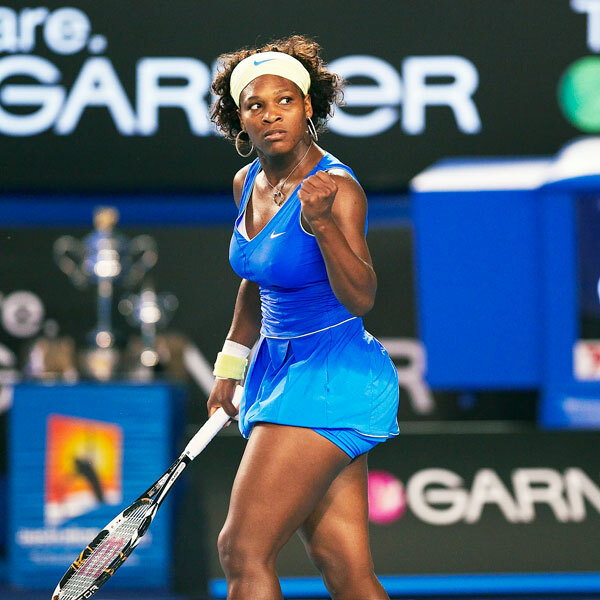 Serena entered the Australian Open ranked No. 81 on the WTA; the victory moved her up to No. 14. 2007 marked the first time the Australian Open utilized the Hawk-Eye system for line calls. 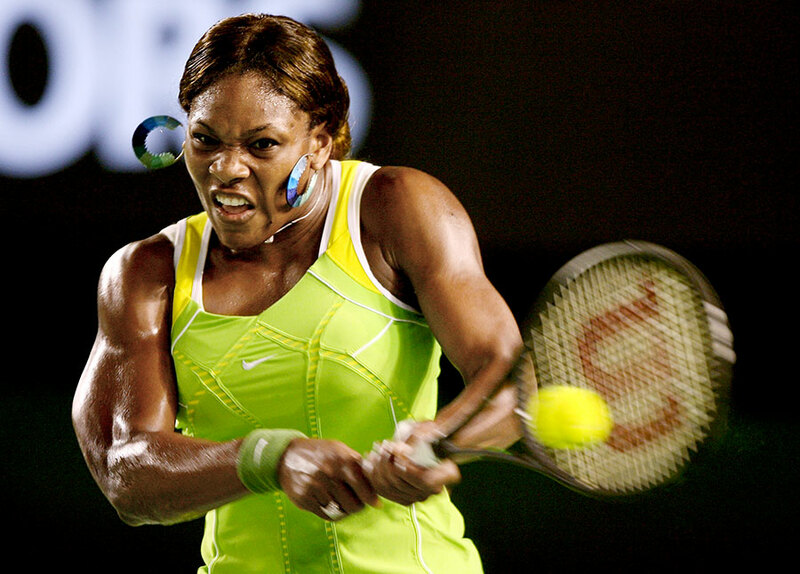 Serena played just five tournaments leading up to the 2007 Aussie Open. 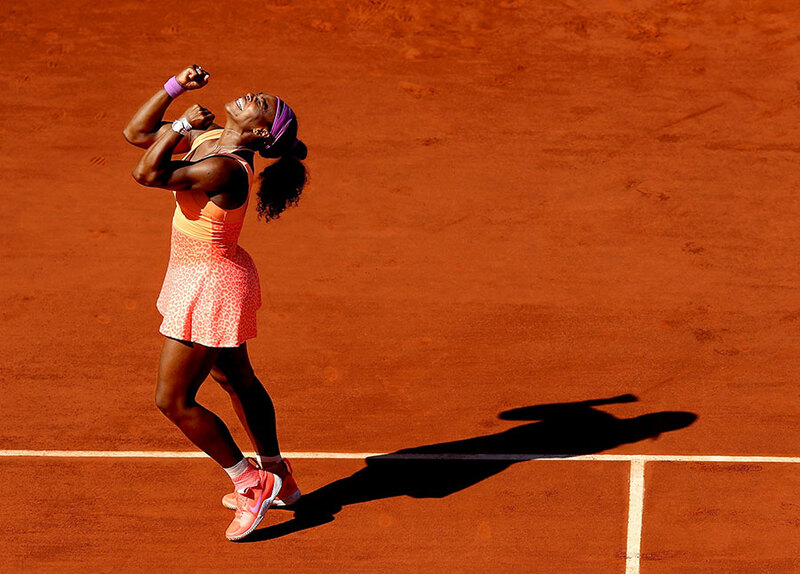 Serena reclaimed the No. 1 ranking with the victory, her first time atop the WTA rankings since August 2003. 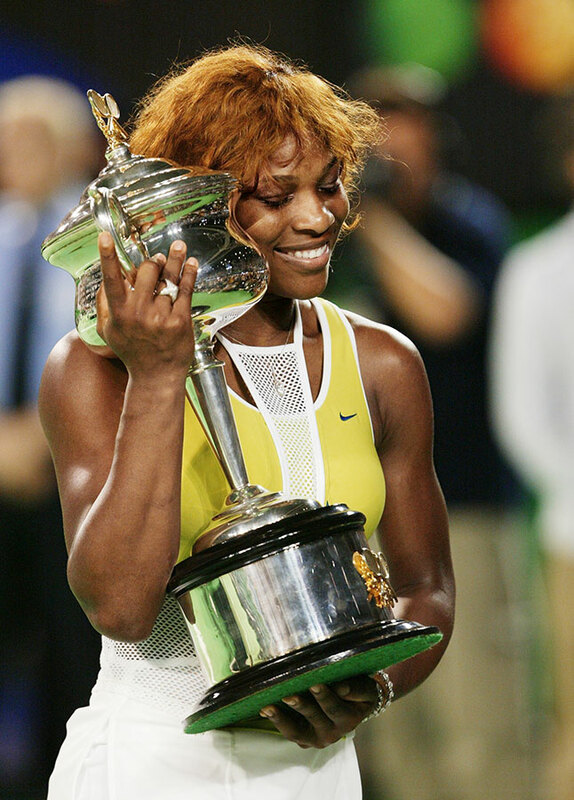 Serena was the first American to win the US Open singles title since Andy Roddick in 2003. 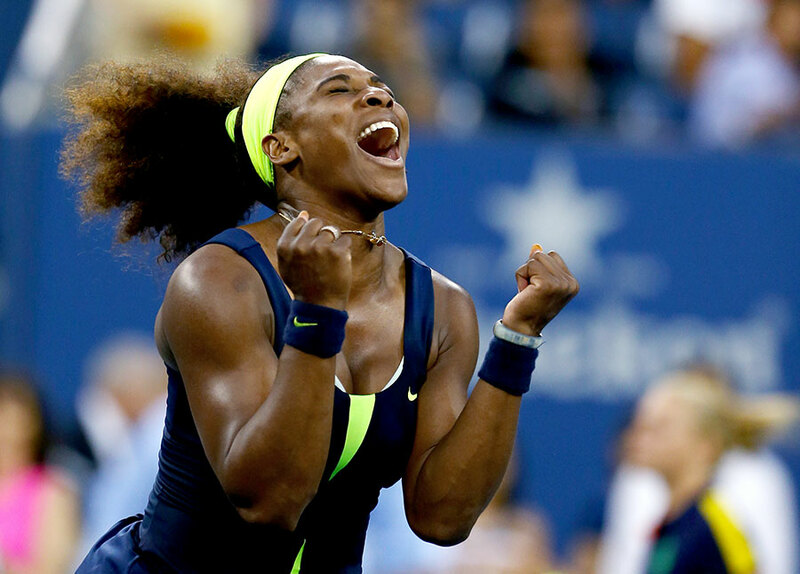 Serena won 14 straight sets en route to the US Open title. Serena left Melbourne as the most financially successful female athlete in history: $23.5 million in prize money and counting. 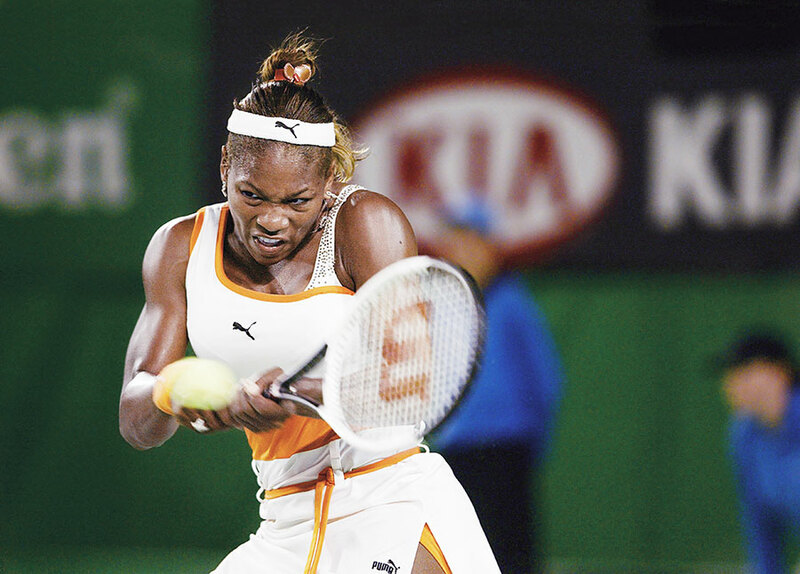 From the ’04 US Open through the ’09 Aussie, Serena was 45-0 at Slams when she won the first set. During the tournament, on-court temperatures approached 140°. With his victory over Andy Roddick, Roger Federer became the all-time leader in men’s Grand Slam singles titles. 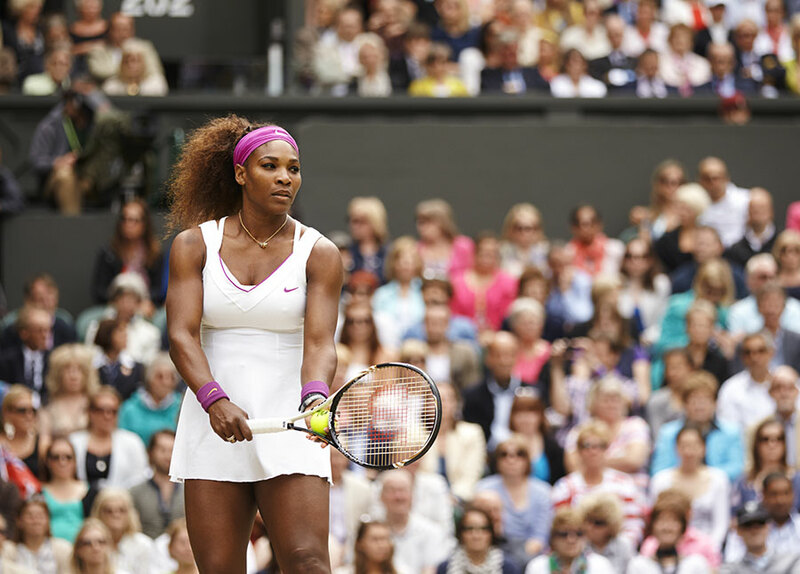 Despite the win at Wimbledon, Serena left England ranked No. 2 behind Dinara Safina. 2009 marked the debut of the Centre Court roof, which was used twice. No one could come up with a single word that adequately captured Serena’s almost pathological refusal to lose. The fallback clichés—tenacious, persistent, dogged—don’t come close to doing it justice. A day before the Aussie several players skipped practice for a charity match for victims of the Haiti earthquake. The Williams-Henin final marked the first three-set Grand Slam women’s final since Wimbledon in 2006. The Australian Open is also known as the Grand Slam of Asia/Pacific. Serena demonstrated yet again that there has never been a better female player. Yes, that’s right. 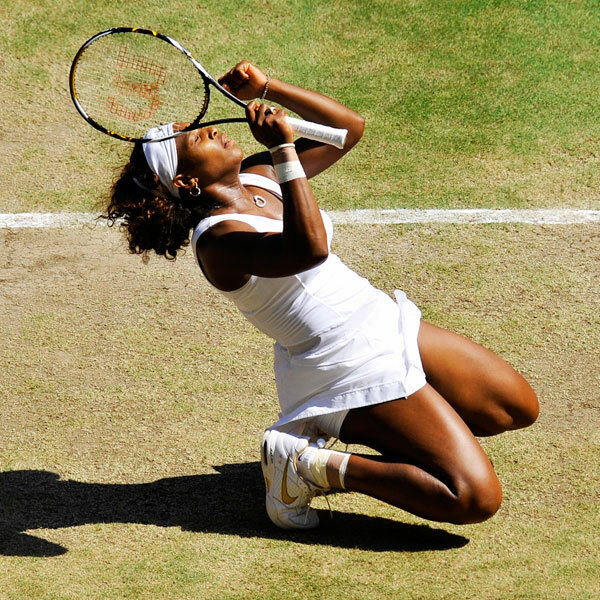 Strip away the nonsense and the breaches of etiquette and there’s only this: Serena Williams is the GOAT, the Greatest of All Time. 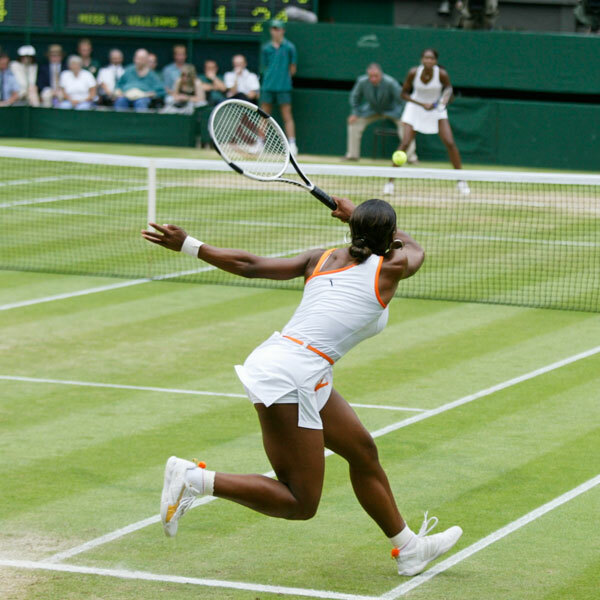 When Queen Elizabeth II visited, Serena’s match was banished to the back courts. Officials later insisted it wasn’t a slight. 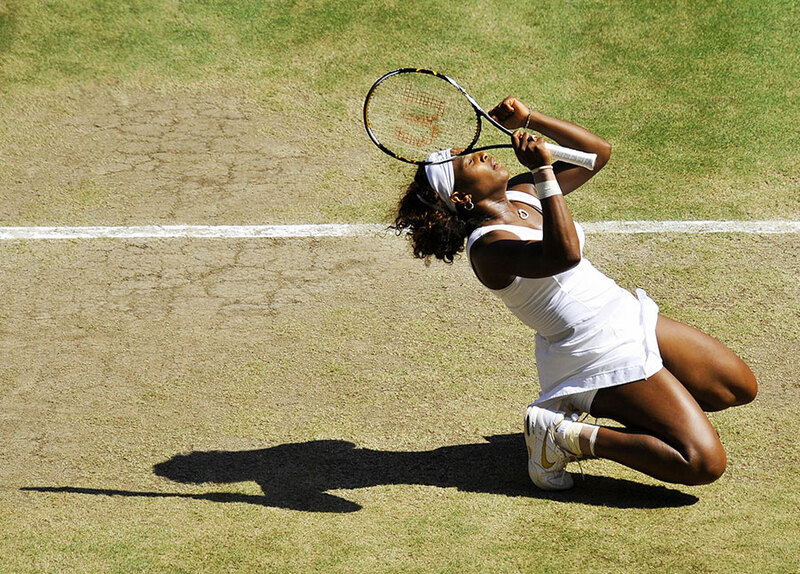 During the tournament Serena set the Wimbledon women’s record for aces with 89. The tournament hired an official poet, Matt Harvey, for the first time in 2010. 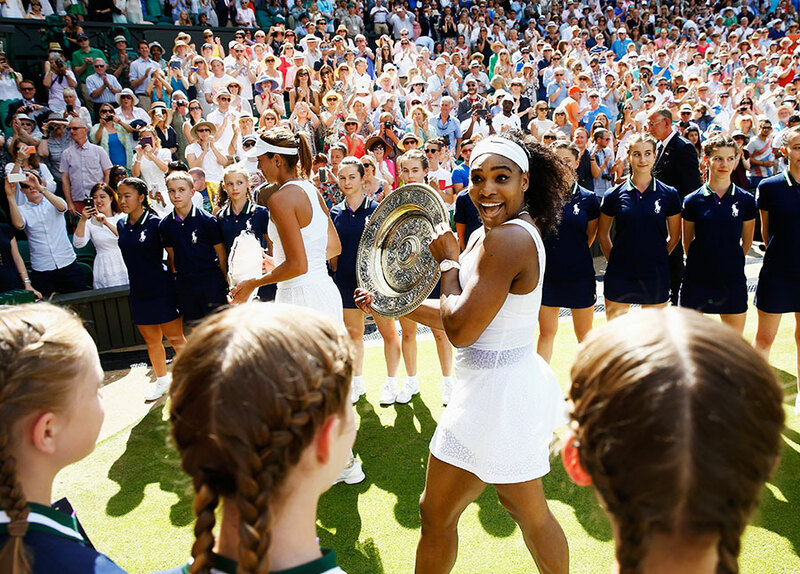 “I never dreamed of being here again,” Serena said, eyes filling with tears, of her Wimbledon triumph after two years of health emergencies and on-court self-immolations. Andy Murray who made the men’s final, was aiming to become the first British man since 1936 to win a major singles trophy. 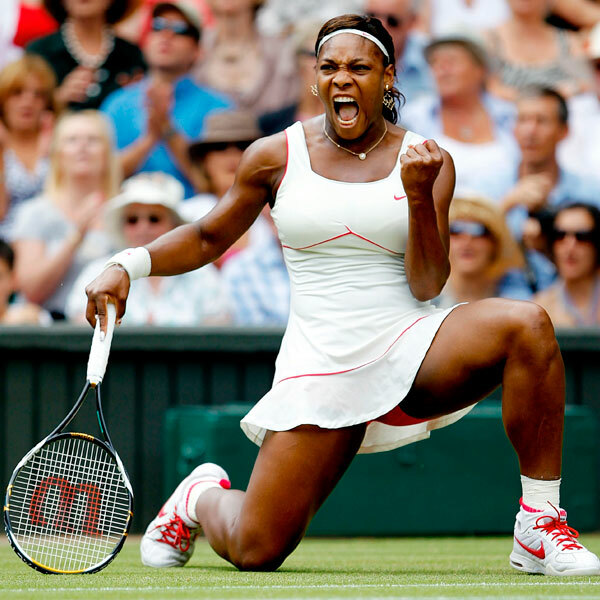 Serena became the oldest woman to win a major title since Martina Navratilova won at age 33 in 1990. 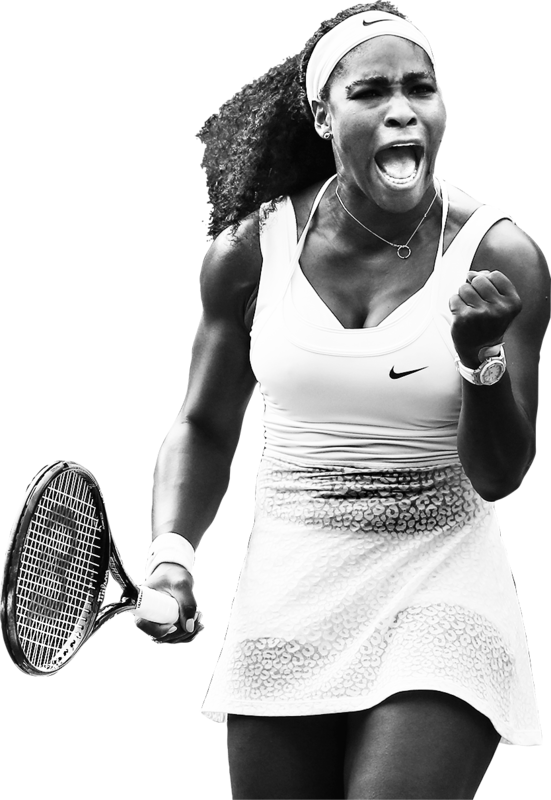 Serena totaled 102 aces in 2012, surpassing her previous tournament record of 89. After rolling Victoria Azarenka in the first set of the weather-delayed U.S. Open final, Serena abruptly looked, well, old … Then she rose again. 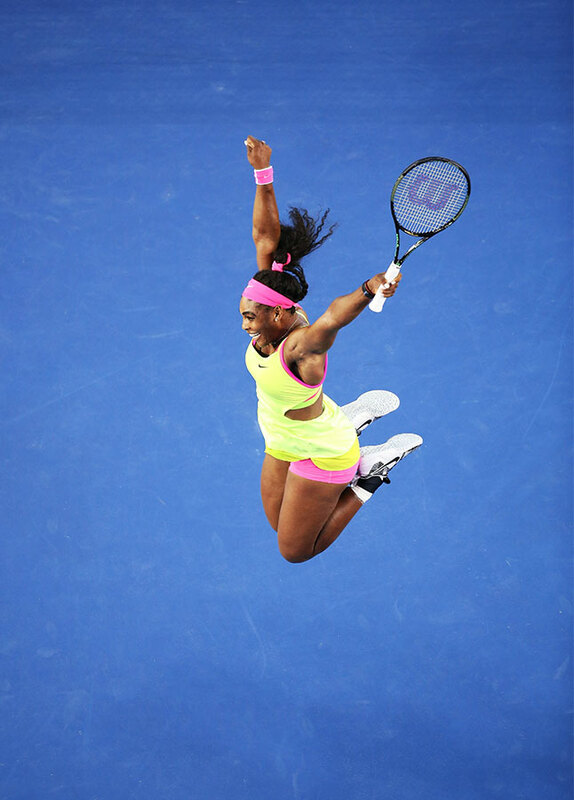 “I never, never quit,” Serena said. Serena dominated Azarenka with her serve, winning 73 percent of first-serve points, 75 percent of her second-serve points. 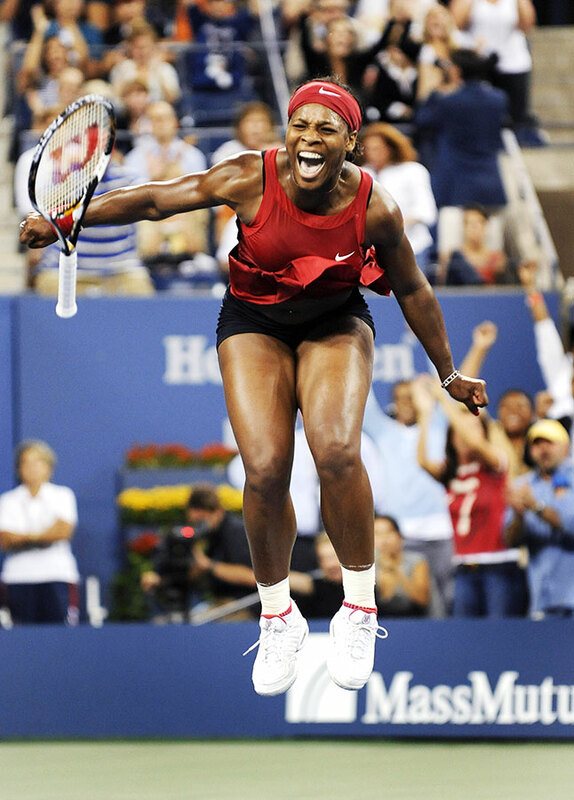 Serena’s match against Azarenka was the first three-set women’s final at the US Open since 1995. Severe weather added another day to the schedule for the fifth straight year. This was the first time in 18 years that the No. 1- and No. 2-ranked players faced off against each other in the French final. 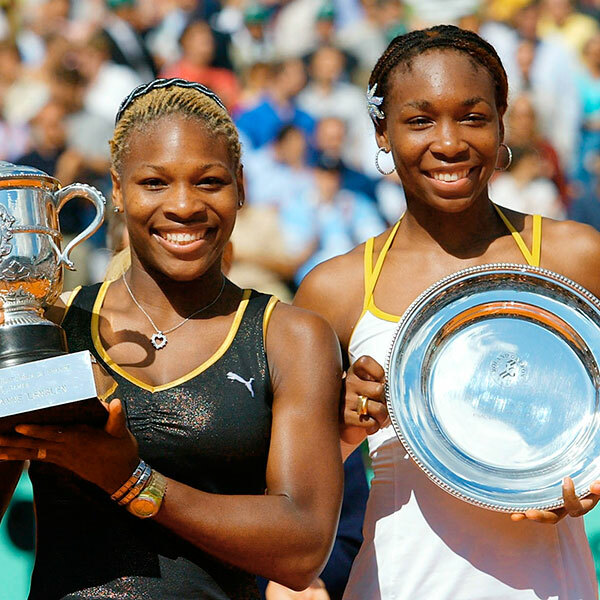 This was Serena’s second French Open title; her first was 11 years earlier against sister Venus. 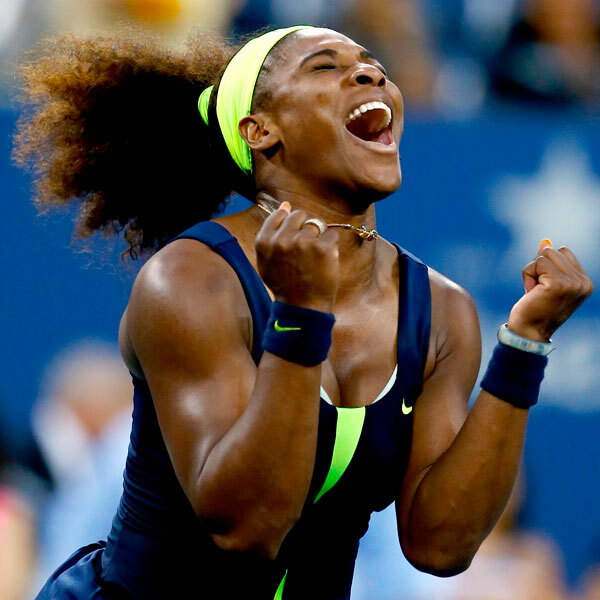 Serena’s finale win marked her 31st straight victory, the longest single-season streak in 13 years. Serena only lost 16 games in six matches before the final; she would then drop 13 games to Azarenka in the final match. 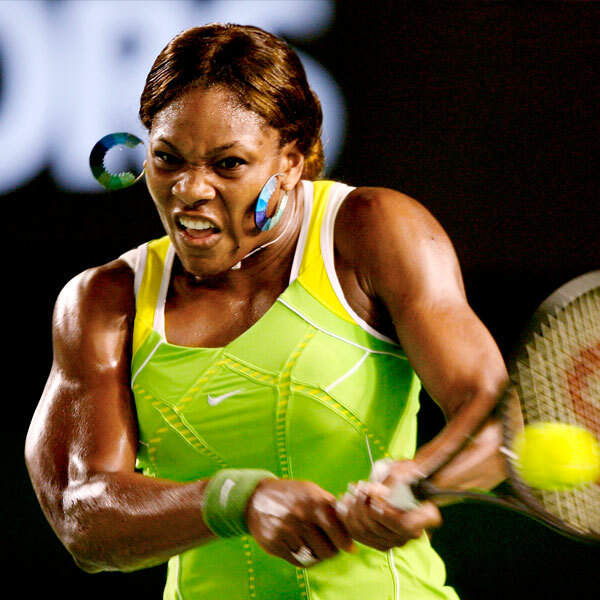 As result of her victory, Serena became the first woman to top $50 million in career earnings. This was the first time in her career that Serena won two consecutive U.S. Opens. It’s hard to describe a No. 1 as coming back from the dead. But you couldn’t be blamed, just two months ago, for wondering if Williams’s career was on life support. Then, once again, Williams clambered out of a hole. 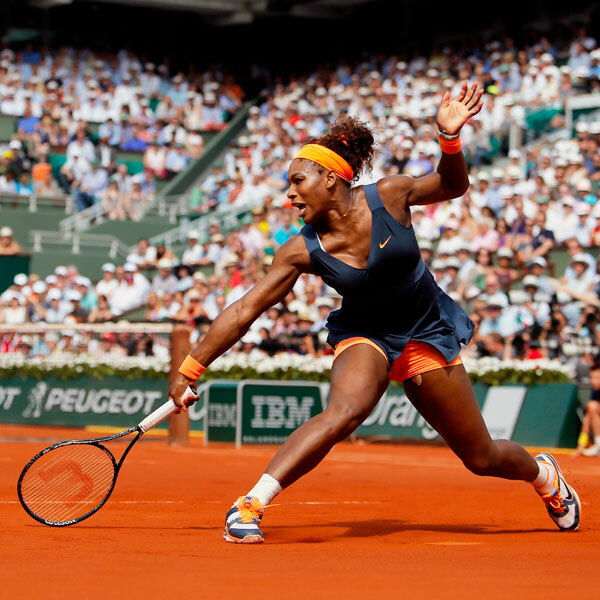 Throughout the tournament, Serena never dropped more than three games to any single opponent. 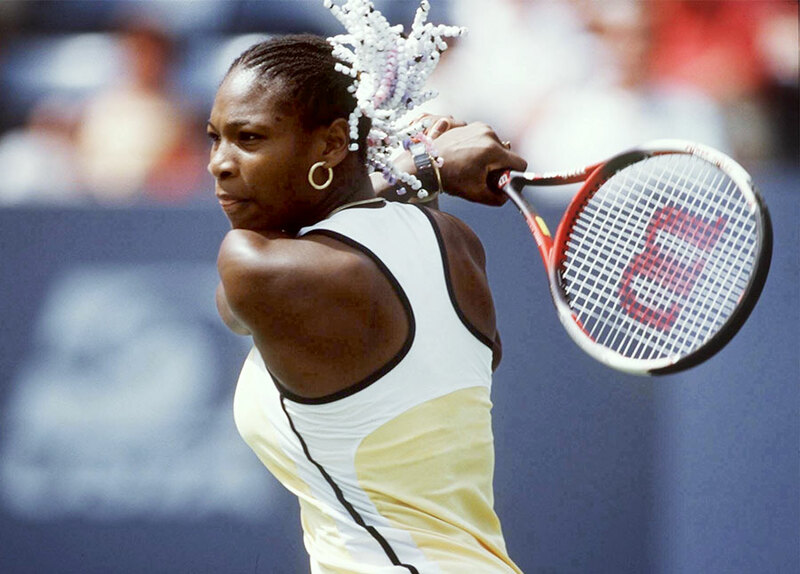 With her victory, Serena tied Chris Evert with six all-time wins at the US Open. Serena earned $4 million for her win, a record at the time in tennis. The 2015 Australian Open was Serena-as-Boss. Early on, she looked sluggish. Then the Boss came to work. She has now been to six Australian Open finals. She has never been the runner-up. 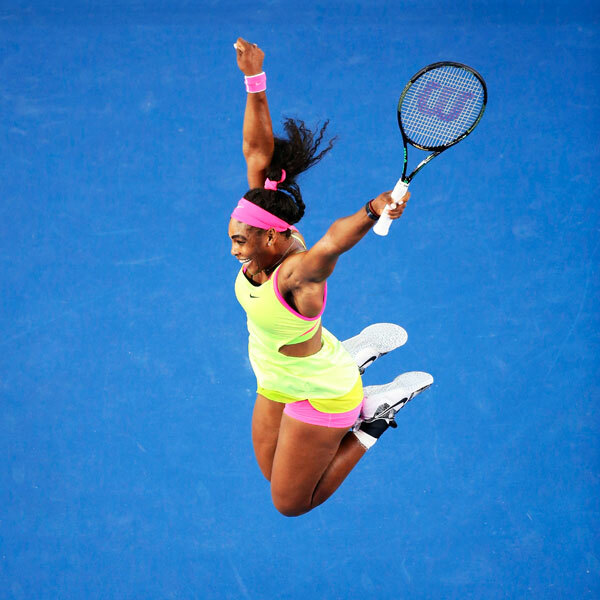 The Australian Open finale victory marked Serena’s 16th-straight win over Russian rival Maria Sharapova. 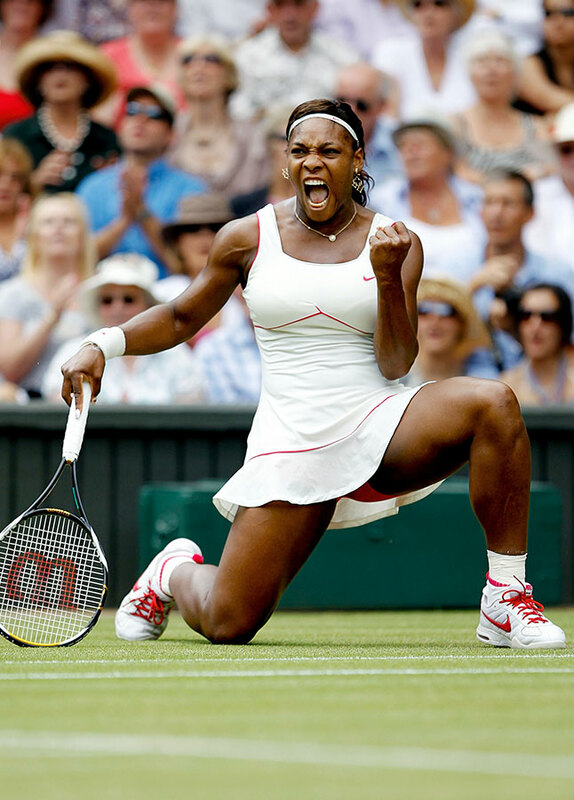 The victory gave Serena six women’s singles Grand Slam titles, an Open Era record. 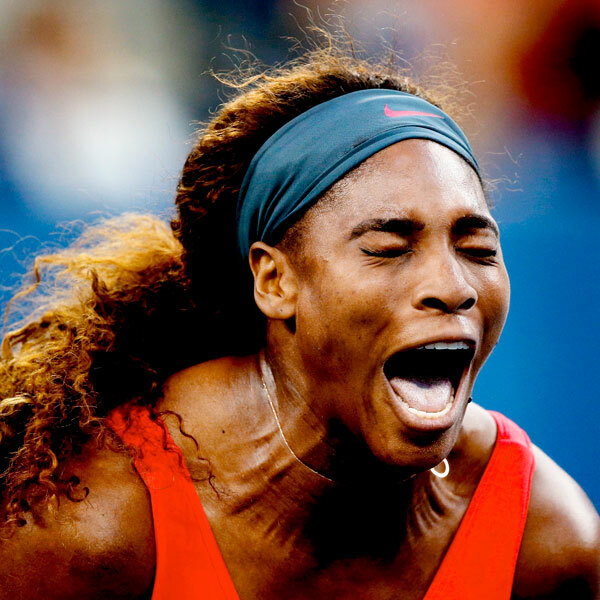 Serena spent just 625 minutes on court during her run to the title. “I was literally in my bed shaking,” Serena said of her battle with the flu during the tournament. No matter. Even at a compromised level, she is still able to beat the vast majority of her opponents. 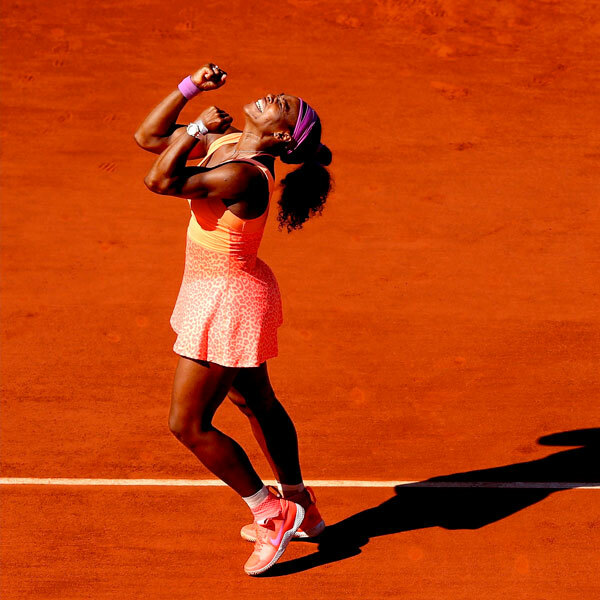 Serena dropped 68 games and five sets at the 2015 French Open, the most she had lost en route to any of her Slams. The women’s final required a deciding set for just the third time in 15 years. Serena battled through flu-like symptoms throughout the tournament. Serena also has won five doubles titles (all with sister Venus) and one mixed doubles title (with Max Mirnyi) at Wimbledon. Only one player has two wins over Serena at Wimbledon: Venus (2000, 2008). At 33 years and 289 days, Serena is the oldest women’s Slam champ in the Open era. Read our privacy guidelines, your California privacy rights, and ad choices .